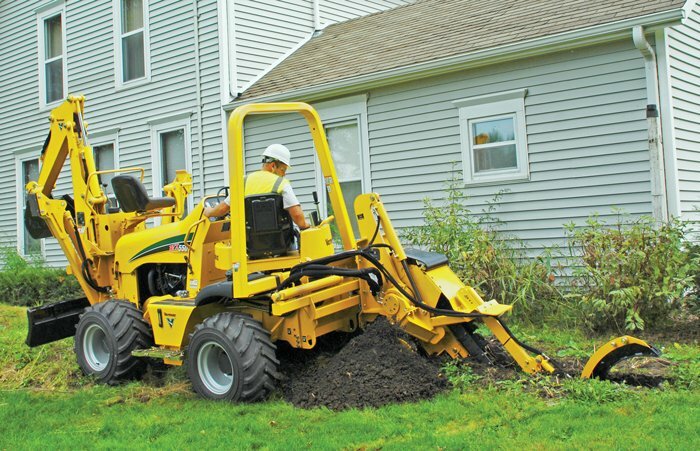 Buyers and renters of compact trenchers quickly learn that the machines come in various configurations — walk-beside, walk-behind and ride-on. That last category is broken further into riding-standing and riding-sitting. Many end-users of ride-on trenchers decide that while they are at the controls, they might as well be sitting down. Several manufacturers build trenchers with an operator seat. The models differ in horsepower and attachments, powertrain options and base unit engineering. All of this puts the onus on a buyer or renter to know which type of trencher will best meet his or her needs. 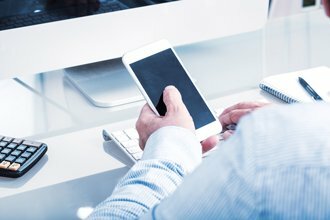 The end-user needs to buy or rent the right product. To wit, if a trench is to be dug for a 100 ft, a stand-up or walk-beside compact machine will do the job without wearing out the operator. But if a trench will run for several blocks or across an open field, seated operation makes sense. If soil is especially compacted or has a high clay content, a heavier, more powerful compact trencher with a seat is a practical choice. Toro’s RT600 is configured as a conventional compact tractor with the operator station facing forward, albeit on a pivoting seat. It is one of the heavier compact (under 10,000 lbs) trencher models on the market at 8,500 lbs with a 65-hp Cummins diesel under the hood. It can open a trench 6 ft deep and up to 16 in. wide. It has the feel of a bigger machine and is maneuvered via four-wheel and crab steering. When its hydrostatic chain trencher encounters the big buried rock no one knew was there, the RT600 reacts three ways: The system’s torsion shaft absorbs the shock of hitting the rock, a flywheel incorporated into the system releases stored energy and planetary gears multiply hydrostatic torque for additional trenching energy. 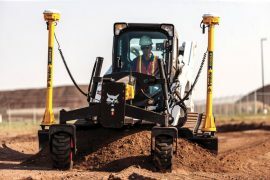 Vermeer offers two compact tractor-type trenchers — the RTX450 and RTX550. They differ principally in horsepower, with the 450 fitted with a 49-hp Deutz Tier 4 Final diesel and the 550 with either a Cummins or Deutz diesel in the range of 65 to 67 hp. The models are fitted with center-mounted or sliding offset trenchers. Vermeer trenchers have the option of quad tracks, which add about a ton to the weight of each model. A track-outfitted 550, for example, weighs in at 7,800 lbs without attachments. A still-smaller Ditch Witch model, the RT30, is powered by a 24-hp Kubota diesel. 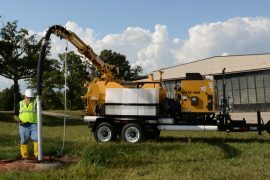 It is a dedicated trenching machine that comes with a backfill blade attachment because it was specifically designed for the rental market. 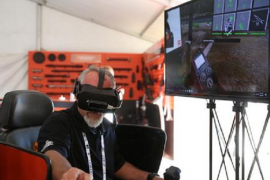 “Eighty-five percent of rental demand is for a dedicated trencher,” says Thompson. The RT30’s maximum trenching depth is 42 in. — sufficient for most municipal codes — and four-wheel-drive propels it. 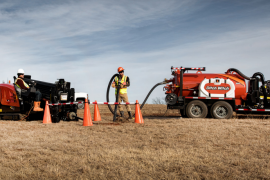 The Ditch Witch product manager brings up the subject of micro-trenching, the process of slicing open a narrow trench to receive fiber-optic cable. “We get new interest in micro-trenching on a daily basis,” he says. 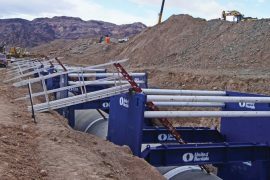 Vermeer has a different take on trenching for cable or irrigation lines. Its PTX44 is center-articulated with the operator’s side-facing seat situated right above the articulation point. By turning the seat 90 degrees to the right, Vermeer gives an operator equal sight-line visibility forward to a trencher bar that can slice 42 in. into the ground and create a ditch 6 in. wide. Or the operator can look rearward at a dedicated vibratory plow capable of embedding a cable 24 in. in the ground. The machine’s 47-hp Kubota gasoline engine moves the PTX44 on flotation or regular tires or on optional tracks. On tracks, the PTX44 is just a shade over 44 in. wide, fully 2 ft narrower than some of the larger compact trenchers. Introduced in 2015, the PTX44 was the company’s response to customers wanting an articulated ride-on model. A similar steer-in-the-middle machine of the same vintage is the Toro Pro Sneak 365 Vibratory Plow. Its 37-hp Yanmar Tier 4 Final diesel can drag a dedicated plow through the ground at a depth of 24 in. Its front-mounted trencher can carve down 36 in. 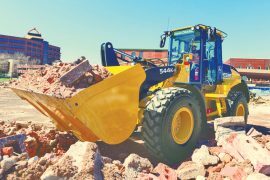 It is slightly lighter than Vermeer’s PTX44 and, with its tires mounted at an optional narrow setting, the side-saddle Pro Sneak 365 is just 36 in. wide and able to pass through gateways. Except for the dedicated plow-trencher units, all these ride-on trenchers are versatile tractor implements. Micro-trenchers, backhoes, backfill blades, reels and earth saws are popular attachments. Compact trenchers continue to evolve in their utility dating back to 1949 when Ditch Witch made the first one. 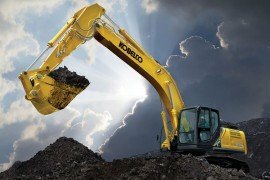 Despite all their innovative engineering, the machines still get caught between rocks and hard places, and operator error is responsible for some of it. Kuyers says one of the most commonly made mistakes in trenching is an operator running a trenching chain way too fast. “The thinking is it will dig faster at a faster speed, but actually it just creates more wear on the chain. There is an optimum range for a chain. 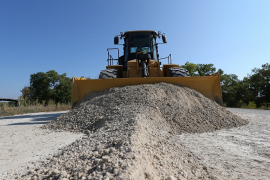 If you slow down, you let torque get a bigger bite and bring up more material.” Kuyers adds that some operators also are slow to replace worn cutters and end up causing more damage to a unit or try to cut through rocky ground with a cup chain.